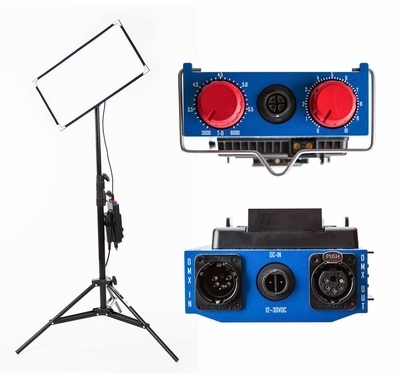 The Aladdin BI-FlEX 2 BiColor LED V-Mount Kit features the BiFlex LED panel which is a a flexible, heavy canvas fabric, with BiColor Leds attached. This unique LED fixture is light-weight and bendable. It easy easy and compact to transport and fast to deploy. The flat, slim profile makes an easy fixture to rig in difficult lighting situations. The new BI-FLEX2 Kit builds off of the original BI-FLEX1 but twice the power and length, the dimmer has an integrated battery plate and features DMX controls. As with every other Aladdin product, the BI-FLEX2 is exceptionally well-built, splash-proof*, and features bi-color LED light with superior light output and quality. The color output is adjustable from tungsten to daylight and every point in between, and is completely dimmable from 100% to 5%. Most importantly, the light quality is the best available: ? CRI: 98ra (daylight) / 97ra (tungsten) The BI-FLEX2 panel, at 24"x12" weighs only 1 pound! 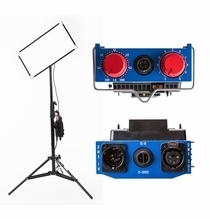 This kit includes a professional-grade dimmer with a battery plate built in V-Mount and DMX controls. It also includes a 1-stop Diffuser, an X-Bend Holder for mounting to stands or booms, a Ball Head Stand Mount, and a 16ft extension cable. Working with high CRI bi-color light essentially means there is no need to color correction or warming gels (CTO). If you?re shooting a portrait with the light set to full daylight and want to add a touch of warmth for improved skin tone, it?s just a turn of a dial. 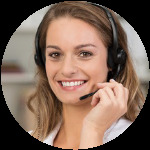 If you?re working in tight quarters and there?s no room for a stand, there?s no problem, as you have several other mounting options. Every BI-FLEX panel has both male Velcro corners and mounting rings, which means you can mount to any surface using female Velcro, screws, nails or even suction cups. And of course, if it?s easier, you can simply gaff-tape the panel to walls, ceilings or poles. Working with the BI-FLEX is not like working with any other light. Because it is highly portable, throws beautiful variable light, can be mounted just about anywhere, and is easy to use and built to last, it will free you from conventional restrictions and allow you to improve the quality of your work.